Ant Audio launched W56 Wired Earphone and Ant Audio H56 Wireless Earphones for Rs 699 and Rs 1899 respectively. Ant Audio launched W56 Wired Earphone and Ant Audio H56 Wireless Earphones which are priced at Rs 1299 and Rs 3499 respectively. 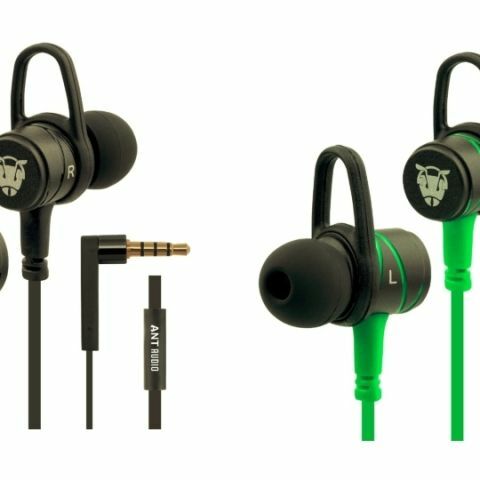 But under an introductory offer, the earphones will be available for Rs 699 and Rs 1899 respectively. Ant Audio is proud to announce the latest addition to its already wide and successful portfolio of audio products, Ant Audio W56 Wired Earphone and Ant Audio H56 Wireless Earphone. Ant Audio W56: The W56 Wired earphones use the latest audio high performance drivers, this is the 1st time these audio drivers are coming to India that too with affordable pricing. These earphones use a wired connection through a 3.5mm jack. It is built with tangle free & sweat resistant flat 1.2-meter wire, these earphones deliver explosive bass and are built using high strength & light weight. Ant Audio H56: The H56 wireless earphones uses the same audio drivers as the W56; while employing a wireless connection using the latest CSR 4.1 chipset with Music, Voice call and Standby time of 4hours, 6hours and 200hours respectively in ideal conditions. It has ‘snug fit earbud design’ which results in a comfortable & steady fit and delivers super bass with HD Audio. It is an ideal set of earphones for outdoor activities like fitness & travel; and it’s also sweat resistant. It also has built in magnetic fixing so both the earbuds can be kept joint around the neck while they are not in use. Ant Audio W56 & H56 are available in four color variants, Fiery Red, Carbon Black, Envious Green and Oceanic Blue. The W56 and the H56 earphones will be available for purchase from 20th of July 18, 2018. At all the major ecommerce portals like Amazon, Flipkart and Paytm; along with all Landmark retail stores across India. “India has very high standards for high performance earphones. The incredibly diverse population has an equally matched variety in the choices and preferences of music. With the new W56 and the H56, we believe we brought something robust and flexible enough to meet the physical and technical demands that India market wants,” Matthew M, CEO, Ant Audio.